Quasimetallic Techno-Dwarven craft are heavily armored and skillfully constructed by hand, each vessel produced entirely without automation. Powered by a combination of nuclear decay and the Maegeir energy generated by its crew, a Techno-Dwarf vessel can operate for centuries without stopping to refuel. Techno-Dwarves export a great portion of their work in exchange for more mundane necessities, but as a rule their most subtle and dangerous technologies are reserved for their use alone. The monolithic Bjarlspire is a marvel of Techno-Dwarf craftsmanship. Though its bizarre hull seems chaotically constructed, the truth is just the opposite. With no apparent ports, seams, or external tech, the BjarlSpire floats through space via engines of closely guarded Techno-Dwarven design. A crew of at least 15 Techno-Dwarves is necessary to keep the BjarlSpire running, though only one is necessary to perform actual operations - the remainder are relied upon primarily as living deutronium power cells rather than as crew members. As the Bjarlspire typically requires very little in the way of maintenance or repairs, its crew contains no engineers, and its members boast beards of impressive length for a Techno-Dwarf crew. 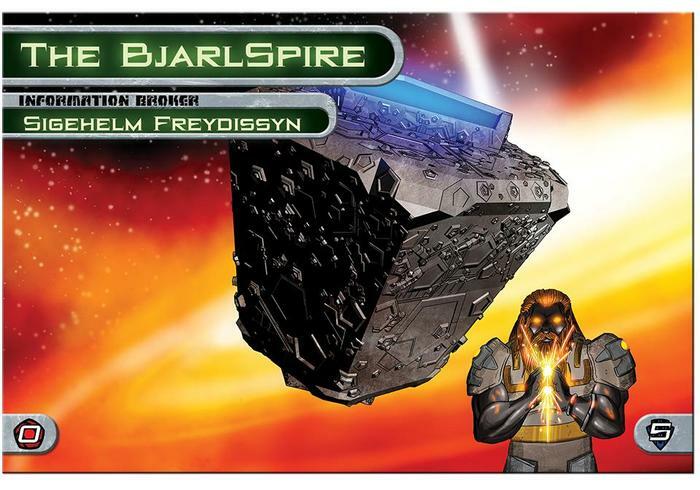 Drengr Sigehelm Freydissyn commands The Bjarlspire for the glory of his clan-queen Vandrad. His exemplary service in the Battle of Berin-Dorum fueled rumors that Sigehelm was to be given to the clan-queen as fathergene for a new clan, but the wounds he sustained made him ineligible. That disappointment would certainly account for the overly gruff nature of the Drengr. He is a striking figure, with dark-steel skin and long copper-hair; he still proudly wears the clan-Freydissyn military uniform. 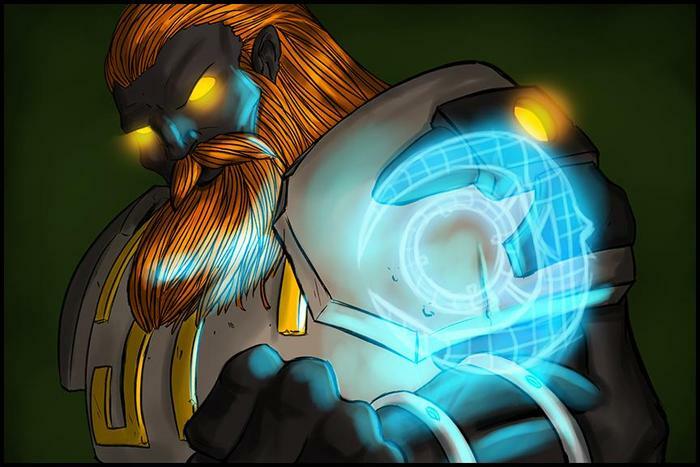 He now serves as a powerful information broker, and is even known to deal in non-Techno-Dwarf affairs.